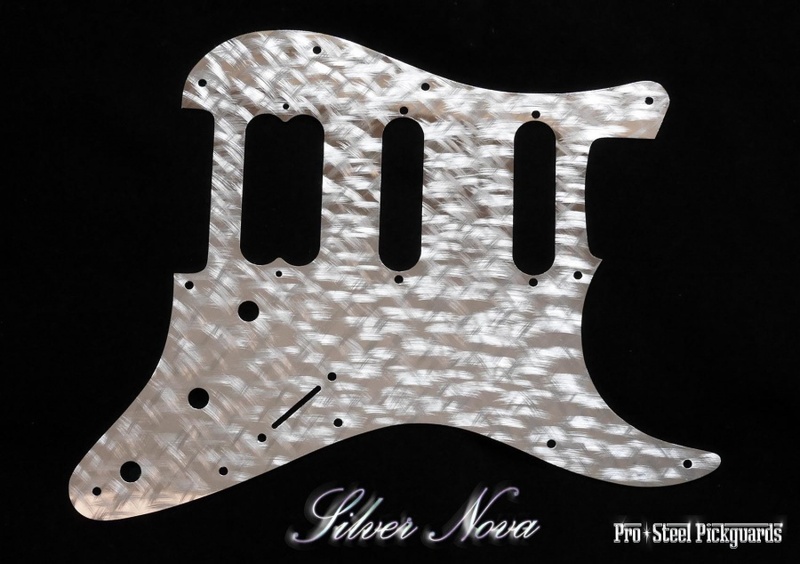 commented on "Each 'Silver Nova' starts with a full mirror surface, the pattern is embedded into the mirror background surface, using alternative ..."
The New Silver Nova pickguard will trip with the lights. Each 'Silver Nova' starts with a full mirror surface, the pattern is embedded into the mirror background surface, using alternative triple direction, with 200% more surface effected than 'Mirror Spark'. This method injects an ultra dynamic quality to the supreme interactive surface light reflects that stainless steel is best at. Beams a supernova from any angle.